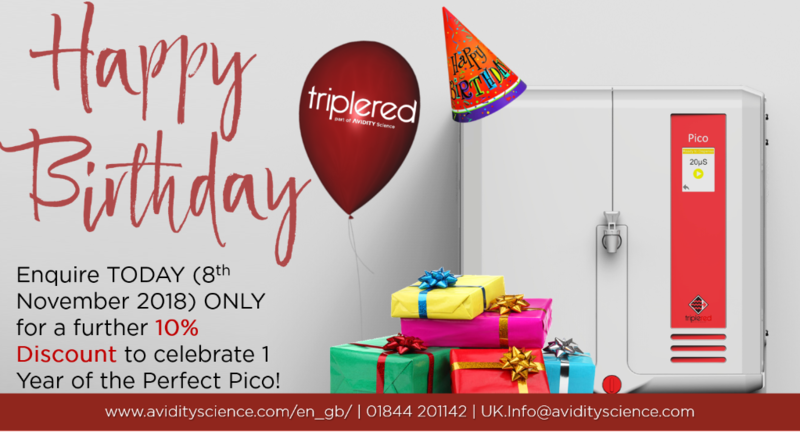 Today at Triple Red we are celebrating the Pico’s 1st Birthday! We are so proud of the smallest and youngest member of our pure water range, that we want to spread the Birthday cheer today with an offer you don't want to miss. Today, Avidity Science celebrates World Quality Day - an opportunity to celebrate the achievements of the workplace and organisation. Triple Red are giving you the chance to have a brand new pure water system installed and working in your laboratory before the 25th December. What’s more, just to thank you for any enquiry, we will give you a FREE advent calendar, complete with chocolate, to count down to the festive holidays. We have three specially selected gift packages for you, at the lowest prices yet! Join the Triple Red water revolution and enjoy the benefits of high efficiency and low running costs in your lab before the year is out. Are you looking for a reliable Water Purification System for your laboratory or hospital? Consider asking yourselves the following questions first which we have laid out in this article. Read on to find out more. Reverse Osmosis (RO) is a technology that is used to remove a large majority of contaminants from water by pushing the water under pressure through a semi-permeable membrane. It is the most economical method of removing up to 99% of your feed water’s contaminants. 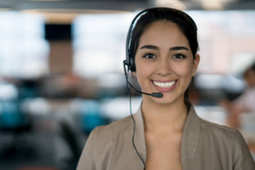 Read on to learn more or contact one of our Lab Water Specialists today. Triple Red (Avidity Science) we will be exhibiting at this year’s Healthcare Estates Exhibition at Manchester Central. This two-day event which takes place on 9th and 10th October 2018 is one of the healthcare community highlights of the year. Over 200 exhibitors will all come together to share the latest information on new products, services and healthcare innovations to create optimum patient environments. What is water purification? What are the most common water contaminants? How is water purity measured? Find these answers and more using our Water Purification Guide. WATERFORD, Wis., Sept. 24, 2018 -- Avidity Science is pleased to announce it has completed its acquisition of CT Chemicals Inc. The acquisition furthers Avidity Science's efforts to broaden its range of products and solutions supporting the research tools market. Based in Lebanon, OH, CT Chemicals manufactures and sells filtration products including ion exchange and filtration media-based solutions used in water purification applications. CT Chemicals' broad range of products are widely used by pharmaceutical, biotech, academic, and government customers. Are you prepared for the New Academic Year? Get your laboratory stocked with our range of Class II cabinets, incubators, pure water systems, pipettes, tips, tissue culture plastics and more. Ready to be delivered and invoiced. Special Offers available. For more information, get in contact. In order to produce pure water suitable for use in scientific applications, water (usually mains supplied potable water) must pass through a series of technologies to remove its impurities. Various laboratory applications require the removal of different impurities and therefore, a range of technologies are utilised.